NovaLush Review 2018: Is it Worth Buying? 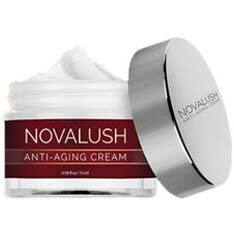 NovaLush Review: Is it Really the Best Age-Defying Cream? NovaLush is an anti-aging skin cream that is meant to restore your skin to its former youthful glory by stimulating collagen production, making skin firm and elastic once again. It also works to repair damaged cells. The manufacturer claims it does this in just 4 weeks by using all natural ingredients like plant oils, ceramides, and peptides. The manufacturer does not readily identify themselves, and the official site has no “About” page or any information about the company. This lack of information is a bit troubling. You can only purchase this product through the manufacturer. It also seems that you can’t purchase it without signing up for the free trial that is available, first. The problem with this is that the free trial signs you up for an automatic delivery subscription program that charges you for a new jar each month unless you cancel. The full price of the product is only listed in the terms and conditions, hidden away. It is $89.95. Apply the cream daily to the freshly washed skin of the face. The unnamed manufacturer of NovaLush promises that this cream will reduce wrinkles and lift skin just as well or better than Botox injections. No documentation proving these claims is provided, but the company does supply the full ingredient list, which is very rare for similar products that use a short free trial and automatic subscription plan. The free trial is not very good. You only have 14 days from the date of purchase, which means you have even less time to try the product. Then, if you don’t cancel in time, you are signed up for a membership that charges you each month—something that is not made immediately clear on the site. 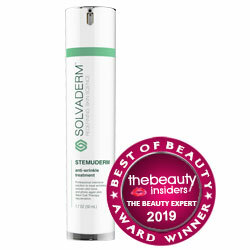 The cream is only available through the manufacturer and doesn’t appear to be available for direct purchase. To obtain it, you must sign up for the free trial.